Finally it's time for #2 in the series 'Cubing for charity'. 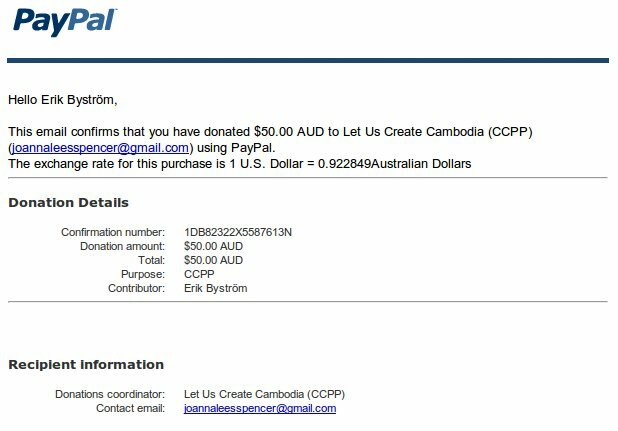 Which is the concept that until the profit from ads in Rubik's Cube Algorithms (and other apps) reaches a substantial part of my income, it will be donated to charity. Also i tend to choose projects from the places a visited while i was traveling Asia. 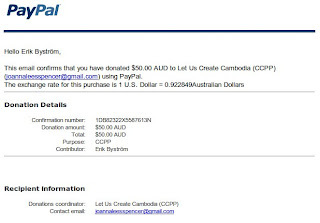 This time 54 USD goes to Cambodia Children's Painting Project in Sihanoukville Cambodia. The project is basically to let kids be kids. Unfortunately there are still a lot of kids selling bracelets on the beaches. We now provide so much more to the kids, including access to painting, craft and sports activities, a small snack and lunch everyday, access to medical and dental assistance and the most important thing, an opportunity to receive a proper education.